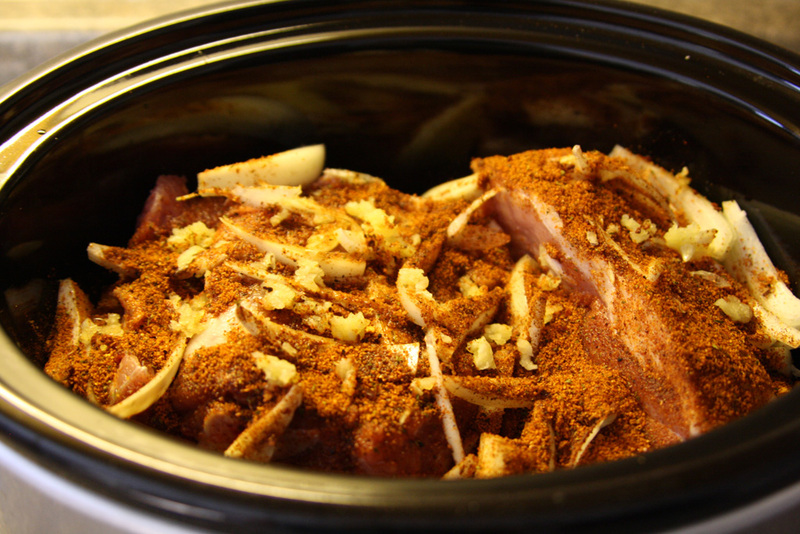 Put the pork sirloin in a large crock pot. Pour the cola over the pork and add the seasoning packet, covering as much surface area as you can. Top with sliced onions and minced garlic. Then cover it and set to low for 8-10 hours. 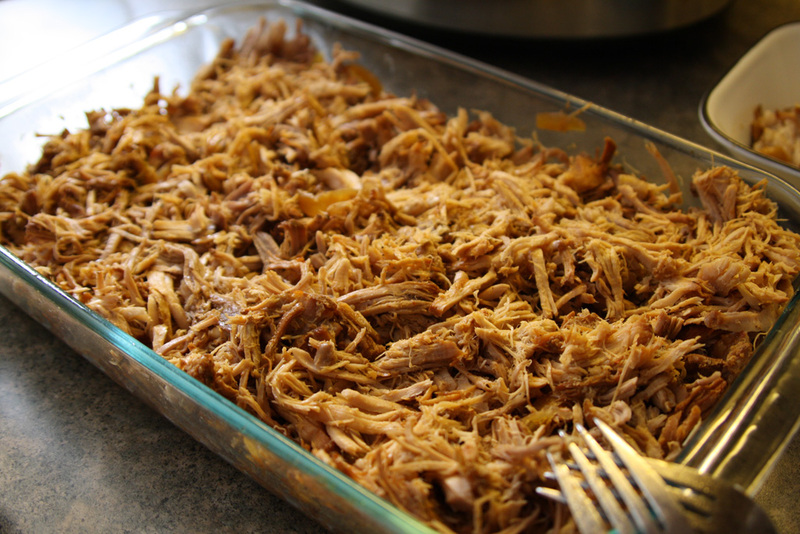 When the pork is tender and falls off the bone, spoon it into a large pan (I used a 9" x 13"s baking pan). 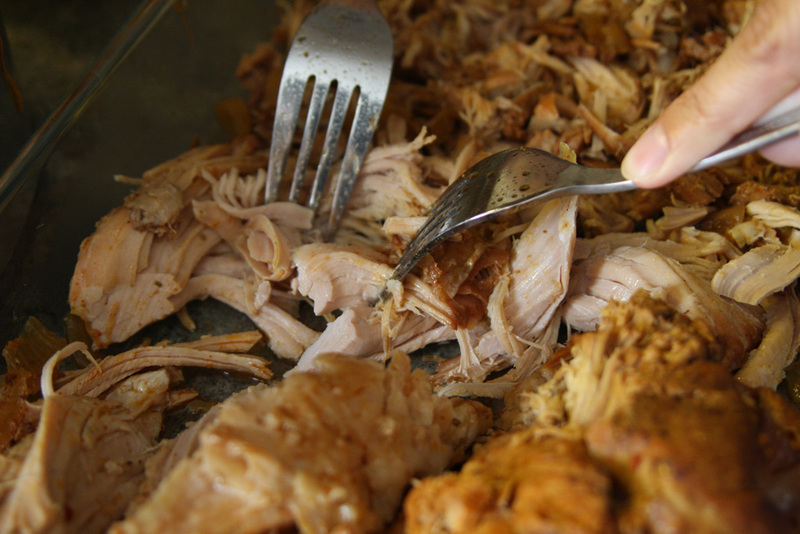 Use two forks to "pull" the pork. Remove the bone as you go. 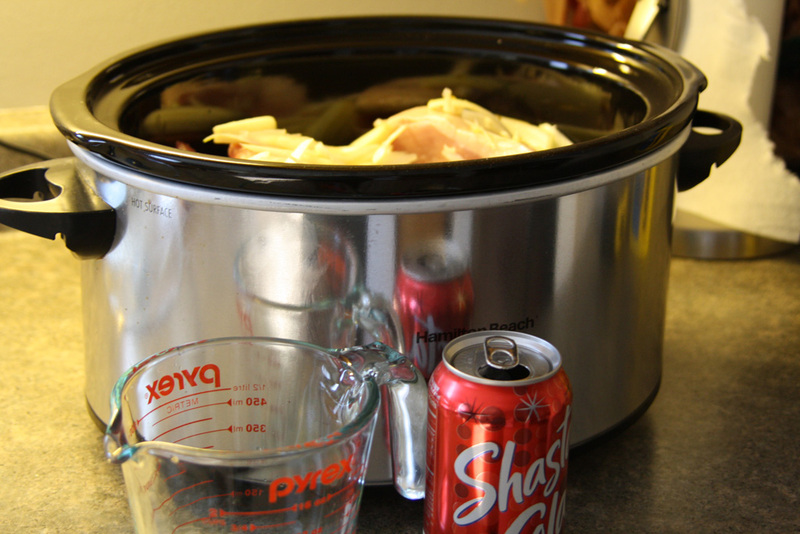 Rinse out the crock pot. When you're done pulling the pork, put it back in the crock pot on low and add BBQ sauce. Allow about 30-60 minutes for the BBQ sauce to simmer with the meat. Then serve on Kaiser rolls! Makes about 12-14 servings. 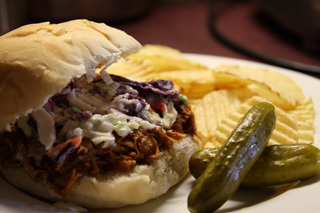 BBQ Pulled Pork Sandwiches go well with coleslaw on top and a side of chips and pickles. I shared this meal with 11 people and got rave reviews! It is simple, requires minimal hands-on work, and tastes great. You'll love this recipe! Coming soon: make your own coleslaw to top your sandwich.